I ignore it every time. Not one of those signs has ever sent me scrambling for my phone (or mouse) to find their Facebook page and like it. Not once. In fact I don’t even think about it. I just cruise right past that sign, focused on whatever else I’m doing on the site or in the store. Because that’s not a moment when I’m thinking about Facebook or your brand – I’m thinking about the errand I’m on or the information I’m looking for. It’s not occurring to me, or anyone, to think in that moment – gee, I sure do like this company, enough to want to see their updates on my Facebook news feed. So what does make people like brands on Facebook? You need to attract them to your page by showing them something wonderful, compelling or funny. Surprise and delight, as Starbucks says (they may or may not have coined the term – I can’t seem to get a straight answer on that). People like brands that attract them by showing them something wonderful, compelling or funny. 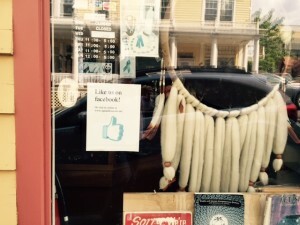 Simply posting a sign asking for likes is not going to interest anyone in your brand. You have to give them a reason to care. You have to give them something so amazing that they want to interact with it – to share it, to comment on it, and – yes – to like it. You know who’s great at this? Canva. They’re a brand whose updates I welcome on Facebook, because they always have something interesting and useful for me. Their Facebook presence perfectly fits their brand – friendly, humorous but always giving tons of value. That’s a page I like, because I want to see their updates on my news feed. Another winner on Facebook is Burt’s Bees – a double thrill for me because Mel Culbertson, a smart woman I know in real life too, is running community management for them and doing an amazing job. Great brands surprise, delight, inform and engage their audiences. Want to get likes for your brand? Go check them out, and take a look at the timelines of brands you’ve already liked as well. 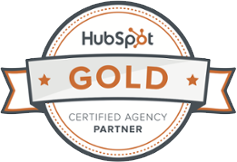 See what they’re doing to surprise, delight, inform and engage their audiences. And that’s the best guide you could ever find.